Grace has not announced any plans to run in the vote scheduled for December, but has made several speeches in recent months, prompting speculation that she was seeking the second secretary and VP post. The ruling Zanu PF has officially announced plans of the special vote to give veteran President Robert Mugabe a fresh five-year mandate as party leader, and consider a women’s league proposal to elevate a woman into the presidium. 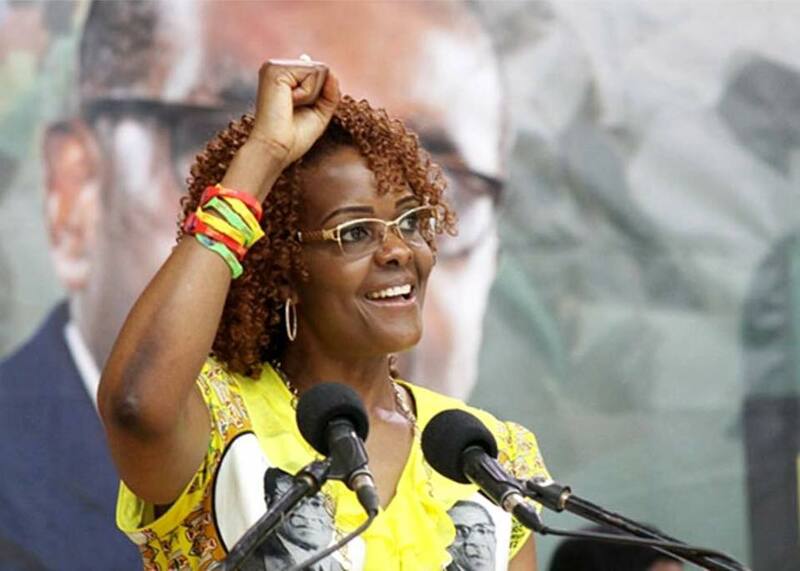 “My own view is that — though easily doable — it would be a titanic political error for Grace Mugabe to go for the vice presidency during her husband’s tenure as president,” Kagoro told the Daily News in an exclusive interview. “The moral implications and optics would be abysmal. This would only serve to galvanise and deepen sentiment against the first family and Zanu PF across the party divide, generational divide and class divide. “It would caricature the entire Zanu PF process, mutilate whatever remains of its liberation heritage and legacy and above all paint Grace Mugabe as a power-hungry and self-interested Machiavellian character. The call for a woman in the presidium has so far been endorsed by the ruling party’s women’s league and the youth league. There is a sense that the 93-year-old president could also use the party election in December to put a lid on widening divisions in its top ranks, raising the prospect of the removal of some of his challengers, mainly his deputy Emmerson Mnangagwa. Mnangagwa is allegedly leading Team Lacoste, a faction in the Zanu PF party battling it out with a camp of Young Turks known as Generation 40 (G40) fronted by Grace. The quota system, which allows a woman into the presidium, was once used against Mnangagwa in 2004, which saw the elevation of former Vice President Joice Mujuru, before it was scrapped. However, under the new efforts to push for a woman into the presidium, the G40 is reportedly rallying behind the move to have Zanu PF revert to its old constitution. Under Article 7 (31) of the old party’s Constitution, there was a declaration that four members of the party’s central committee were supposed to be a president and first secretary, two vice presidents and second secretaries — one of whom shall be a woman — and a national chairperson. However, Kagoro said it will be ill-advised for Grace to take up the position of vice president. “There is speculation that her game plan is to become vice president and ultimately president of Zimbabwe. We must distinguish between being vice president of Zimbabwe through an elective process and being appointed as such by the Zanu PF Congress. “Mafirakureva (Grace) could easily bag the post of VP if she really wanted it,” Kagoro said. “I suspect that politically it would be more strategic for her to allow one of her allies, a pliant, loyal and senior female — preferably with war veteran credentials — to land the VP job. Without being appointed into the presidium, Grace Mugabe already commands a lot of informal power and ‘unusual’ influence for a liberation party. The critical votes of the provincial as well as women and youth structures will determine the female vice presidency,” he said. Grace has been on a warpath against Mnangagwa since his hospitalisation amid claims the VP had suffered food poisoning after eating ice cream from a dairy company owned by Mugabe and his wife. The first lady has angrily denied responsibility for Mnangagwa’s illness and accused him of lying about it to get public sympathy. “Why should I kill Mnangagwa? Who is Mnangagwa on this earth?” Grace fumed at the launch of an empowerment bank. Kagoro said there is a method to Grace’s haphazard attacks to her husband’s allies. “The role of Grace Mugabe in Zimbabwean politics has been enigmatic,” Kagoro told the Daily News. “Beyond the public irritation with her seemingly irreverent and culturally inappropriate public humiliation of men of power, there is need to analyse what she has achieved. “She has managed to dismantle — wittingly or unwittingly — strong men and women who many assumed were entitlement to rule Zimbabwe. In doing so she has exposed herself to great ridicule, scorn and in some circles, admiration. “Like her or hate her, Grace Mugabe, has become a ‘kingmaker’ of sorts in her own right. Whether this is short-lived or outlives her husband’s tenure, it is material. It is what it is.